Community K9 is a new program providing opportunities for Philadelphia youth to help in the care and training of dogs. Currently, Community K9 provides weekly classes for 10th graders at the WB Saul Agricultural High School in Philadelphia, giving students the chance to participate in the care of some very special puppies from a local service dog organization. Students play an important role in socializing the pups, who are being trained to aid children with physical disabilities. Students learn the power of positivity, patience and teamwork, while training dogs to help others. Best of all, students feel proud of their hard work! Youth Programming, Canine Care Workshops and Dog Rescue-Adoption. Young participants care for and socialize Paws & Affection Service Dogs and homeless dogs awaiting adoption. Low cost workshops support community dog owners with helpful tips and strategies for raising safe and friendly pets. 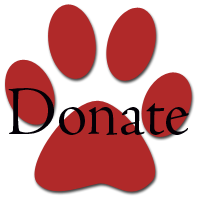 Provides foster care, socialization and adopter education to ensure successful and permanent homes for homeless dogs. At Community K9, we believe that the human-dog relationship is a powerful source of emotional support, empathy development and community engagement. Want to help us in our mission? 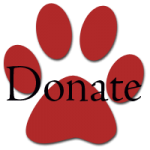 Please consider donating to the Community K9 program to touch the lives of even more dogs and children! Michaela Greif, MSW, CPDT at commk9@gmail.com.